Metter, Georgia (October 28, 2015) – Jada Thomas and Andrew Hendrix of Metter High School wererecently named School Winners for the prestigious Wendy’s® High School Heisman® Award which highlights exceptional high school seniors and their achievements in the classroom, on the field and in the community. Thomas and Hendrix will move on for consideration in the next stage of the program where they could be named a State Finalist. 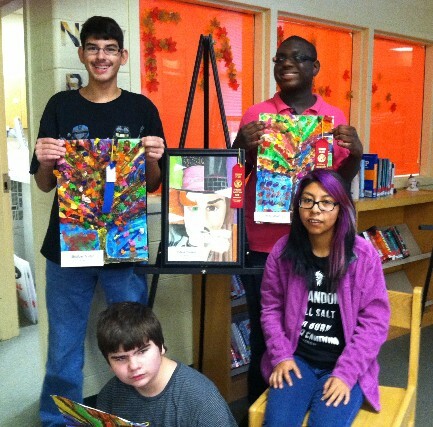 Metter High School students participated in the Kiwanis Fair's Fine Arts Exhibit this year. Lizbeth Ventura won 2nd Place for her color pencil drawing of Johnny Depp portraying 4 different roles he has played in movies. Also winning, were 1st Place Art by Matthew Bridge, 2nd Place Art by Blake Lanier, and 3rd Place art by Zachery Bishop in their category for mixed media art of Autumn trees.